COMMENTS ARE CLOSED _ WINNER OF SCRAPS IS POSTED HERE. Success!!! I've finished quilting Deadwood! It's my first longarm quilted project. It is currently enjoying a bath, after which I'll block it and prepare to bind it. I'll post a photo of the finished quilt very soon. In the meantime, it was time to clean the studio. I had been working on the Streak of Lightning quilt as well as the Deadwood quilt an so the bits and pieces laying around the new studio were getting out of control. I know how some of you are, my trash is your treasure. 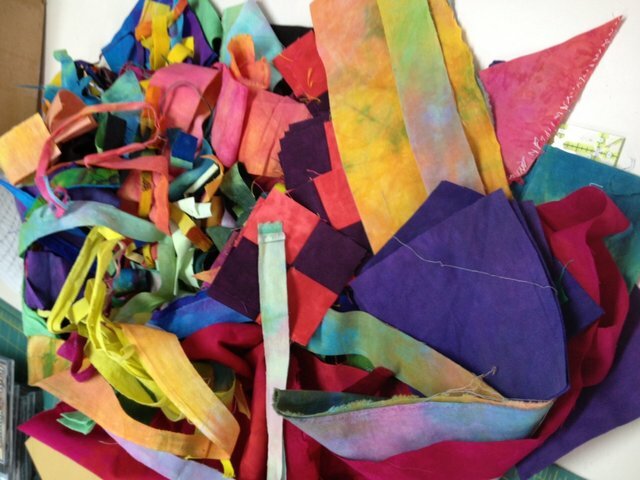 Here is a photo of the bits and pieces of fabrics I have collected from the trash that were used in the making of the Streak of Lightning quilt. If you want theses scraps just add a comment and tell me what you will do to turn my trash into your treasure. There are a LOT of little pieces, and some midsize pieces. If you are selected I'll hold you to your answer in a follow up future blog. I'll send this bunch to you free of charge (USA only, seriously, they came out of the trash). Comments are moderated so be patient. I will post your comment when time permits. I'll choose from the replies on Tuesday, August 22, 2012. I love scrap quilts and use them to add to my personal and charity quilt projects. With this lovely set of scraps I would make them into a quilt top (with other fabrics as needed) for a Victoria's quilt. The group makes quilts for cancer patients who need a quilt to cuddle when then go into treatments, etc. These colors would really perk up a quilt! Thank you for your generosity. The scraps would be used in the Creative Arts Work group at my church. I would love to see how the members would use these fabrics with our African Fabrics. Our group is made up of members of the community from Liberia as well as members born and raised in the Philadelphia Area. Our guild has a small group called Happy Scrappers. We convert our "scraps" into quilts for fund raisers, charity, and auction. We would put the scraps to good use! I am not sure what I would do with the scraps, but probably a quilt for our quilts to share program. Well early this morning I was awakened by a thunder and lightening storm. Thought for sure it was just outside my door, since sleep was done for me I was cruising facebook and saw your free scrap [censored] and had to see your pictures of Streak of Lightening, then got carried away and went through your Autumn Rock photos. Inspiration comes at interesting times... I started to design a panel to be surrounded by a crazy quilt scraps. You use such vibrant colors that I decided to add my comment. You never know lightening can strike twice. :D.
I have donated over 100 quilts. Greetings! I'm writing from a youth NGO/sewing center Kazakhstan, where I'm serving as a Peace Corps Volunteer. I'll be coming home to Franklin, TN in October and would love to bring some of your beautiful scraps back to Kazakhstan with me! We don't have fabrics like that here! Have you seen that wonderful "graphed into" 2" squares iron-on facing? All you do is cut all your scraps into 2 inch squares. (OK, so it takes a day!) Place on the interfacing, make all kinds of designs - or not. Press, then fold on the dotted lines and stitch your 1/4" seams. From top to bottom and side to side. Wonderful crazy quilt from your scraps. I would love to add your scraps to mine and make a zany tote bag and a quilt for donation to one of our homeless people in my city. I like the idea of bringing a little color to someone's life who may not see much beyond the grays and darks of being on the street. Fall approaches and winter sooner than later. I am working on getting my scraps organized to get started. I will put my new Bernina 380 through its paces while making at least one tote and quilt. 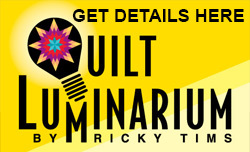 Hi, I am about to attend my first Ricky Tims workshop in Brisbane, Australia. I think it would be great to win these scaps even though you are only offering them in the US, such a shame. I have recently bought a long arm machine and am looking forward to creating many arty and traditional quilts to complete on my new machine. You could pack them in your luggage perhaps!! So looking forward to your workshop and the many I am attending in Adelaide too. I am ready to make a crazy quilt and these scraps will get me well on the way. Oh my; am I allowed to change my mind? I see a string quilt in the future of all those scraps. I would like to make crazy quilt design bags to give as gifts. Love to sit after a long day at work and do handwork to unwind and relax. Might even share with a class at school to inspire students to make projects to give! Wouldn't mind the cobbler either! I am collecting fun colors to make a pineapple quilt - inspired by Gyleen Fitzgerald. Your fabrics are the BEST! 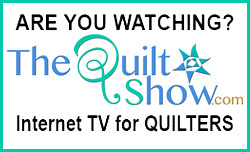 I would finally be forced to become a better quilter/appliqu e-er! Oh cool! I would love scraps!! OK, I am setting up a new sewing room with a (my first) HUGE design wall. I want to do my first design from the inside out, random, fun, art quilt - for one of the walls in the new home we just built. 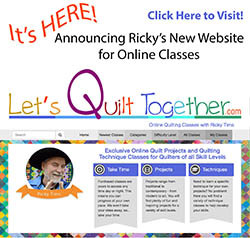 I have primarily been a traditional quilter and am looking forward to expanding my sewing horizons. I was just at the taping of your TQS on August 4. We saw a taping two years ago and had just as much fun this time. Thanks for including an audience! I would donate these scraps to my church quilting group. We have donated hundreds of quilts to the needy in our area and are always in need of fabrics to continue our mission. They would definitely be put to good use!